Twist and Seal help protect your plugs from little fingers. This is such a cute cover and fits perfectly over all cords. They are available in a variety of sizes and you can choose indoor or outdoor use. Because they cover the ends it will prevent your baby from playing with the cords and risking an electric shock. The different sizes you can choose from are Small Holiday Light Connections, Large & Heavy Duty Connections, Home & Garden Connections or Multiple Cord Connections. They are easy to use, portable and they are small enough to store easily. Simply put the cord into the case, thread the cord through each end and snap! Easy peasey! They also have hooks on them so they can be hung from the branches of christmas trees. Or if you are using them outside they can hang from your gutters or outside tree branches. Helping protect your holiday light cord connections from rain or melting snow. You no longer have to wrap your electrical connections with tape or any other item to protect them from the weather. 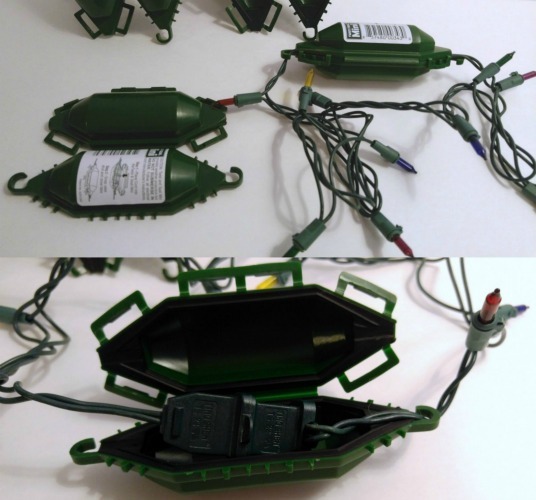 If you are hanging outdoor holiday lights these keep them safe. The mini is more convenient for the outside lights. While protecting from electrical shock and helping keep the lights on! 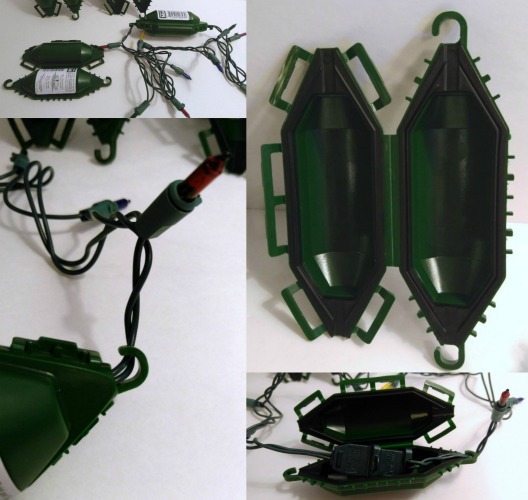 Uniquely designed to keep the holiday light connections dry, preventing electrical shock, UV resistant material, heavy-duty commercial grade plastic. Twist and Seal family of products are made in America and come with a 5 year warranty. I plan to use these to help protect all of my cords. They will be easily stored. And easy to use. All homes should have these. Thank you for such a great feature. We are happy to hear you find our Twist and Seal Mini safe for kids and useful around the house.